There exists an encyclopedia of articles that provide advice on how to market to Millennials. Marketers view Millennials (the “self(ie) generation“) as an evasive generation to market to because of the Internet savvy these consumers have developed by growing up online. In this social-media-rich age that marketers find themselves in, the nature of the game has changed. Consumers are able to easily post reviews, quickly become educated about products and interact with companies more easily than ever before. There has also never been more content so readily available. So how can marketers create conversational campaigns in such a noisy environment? Obscurity, when done correctly, sets the stage for organic conversations with consumers. The music industry is beginning to see more and more cryptic campaigns appear, where artists are using mysterious commercials and billboards to promote new albums. Take Drake’s billboard promoting a new album. The campaign caused a social media conversation to take place as users attempted to decipher the message. When artists or brands break from the continuity of simply throwing messages at consumers, a natural conversation begins to break out. 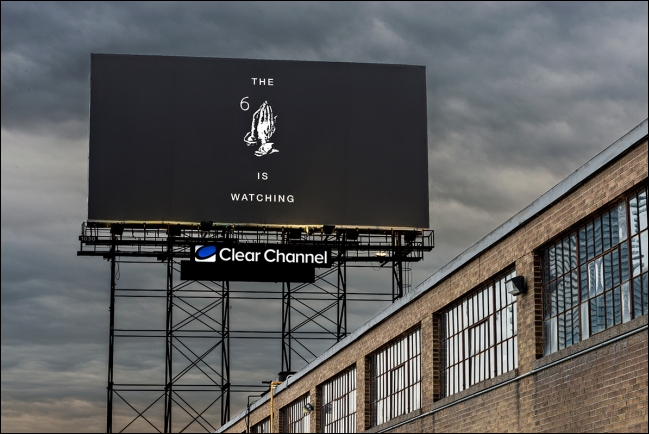 For example, the Drake billboard shown above uses many elements that Drake fans would recognize, including geography. This billboard was erected in Toronto, Drake’s hometown — an area that would probably be more sensitive to Drake’s music than others. If this sign had been posted in, say, Evanston, Illinois, it may not have had the same impact on those who saw it. So while obscurity is helpful in generating buzz around a campaign, make sure that your cryptic campaign uses mystery responsibly. When looking to promote its new game Titanfall, Microsoft released a serious of commercials that ended with binary code. The first person to notice was a Reddit user. This started a conversation on Reddit as viewers attempted to solve this mysterious commercial. While this contest appears to be heavily incentivized for Microsoft gamers, the only way consumers would discover its existence would be to become involved in the mysterious commercials that Microsoft aired, in addition to becoming a part of the online conversation with other consumers. In a way, this mysterious campaign created a community of gamers as they pieced together the clues garnered from the commercials. It is well known that contests and sweepstakes are an effective way to promote your brand. A secret contest is yet another way to involve consumers as they work (together) to solve the mystery you provided. As any “Game of Thrones” fan can attest to, a good cliffhanger can keep fans coming back week after week for additional content. This narrative tactic isn’t only for directors and screenwriters anymore — it is also for marketers. Take the commercial series produced by John Hancock Financial. Below is “The Call,” a thirty-second commercial that ends with a cliffhanger and a call-to-action. And yet, the CTA is noteworthy in this case because it doesn’t encourage viewers to continue up the funnel in order to invest with John Hancock, but rather to learn the ending of the commercial. The company is capitalizing on viewers desire to know the ending, rather than necessarily invest with John Hancock. Cliffhangers will encourage your customers to continue up the funnel in a way that doesn’t beat them over the head with your brand’s message. While creating a viral cryptic marketing campaign can seem an evasive goal, there a few tactics that can help make your campaign a success. First, use cryptic messaging mindfully and responsibly, in a way that will make sense to your customers as they uncover your message. Next, provide consumers a chance to interact with your brand organically by giving them a mystery to solve. Finally, the use of a good cliffhanger will propel your customer up the sales funnel with a creative call-to-action.